So I did a quick search and found out that taking the place of the restaurant will be the AFK Gamer Lounge, a new eSports bar & PC gaming center. One-hundred gaming PC's networked together installed with some of today's most popular online games. Gamers will gather, play games, enjoy food and enjoy beverages from the bar. There will be memberships and access for casual guests. The whole concept is interesting to me as former (short term) player of World of Warcraft and The Sims, but a much longer term player of video games in general. Most of any recent online game exposure is due to my husband (and friends) playing of Starcraft, EverQuest (back in the day! ), World of Warcraft, and League of Legends to name a few. A few days ago I exchanged emails with one of the owners, Tyler Peckham, and asked a few questions. JO: In reference to your press release, will you be open on October 18/19 for the League of Legends tournament being held at the SAP Center? TP. We will be open for some sort of event - however its unlikely it will be a full grand opening. JO: What popular games will you have installed? Starcraft? WoW? The Sims? TP: Users will have access to their own library of games (ie. Steam libraries, games that require an online account: LoL, WoW, SCII and many more). Full list of games is unknown, but the main concept is to first provide access to the games users are already playing, and then second, provide access to some games they may not already have or play. JO: Are users limited to only MMORPGs or can they hop on Facebook and play their favorite casual games as well? TP: By no means are they limited to MMORPG's. Web browser access is likely, however not 100% (potential security issues). JO: Members and guests are encouraged to purchase drinks from the bar, what is your plan of attack for keeping liquids away from the computers? TP: We are going to start off with some experimentation on methods to allow everyone to game/drink/eat peacefully without restriction. JO: Will you be holding tournaments? I inquired about some renderings but they didn't have any updated ones on hand yet. Hopefully I'll be able to update soon with a few. 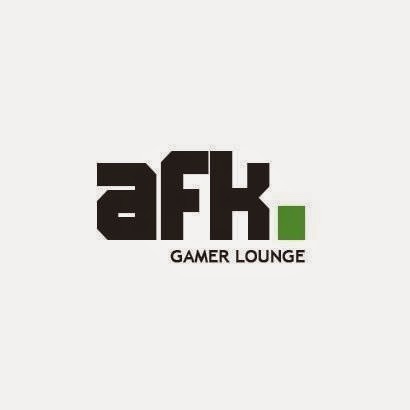 For now, if you're still interested be sure to either sign up for email updates via the AFK Gamer Lounge website or follow them on their Facebook page. For a more in-depth read, if you can follow Reddit threads, check out their post and the conversation happening over there. I'm looking forward to checking this place out with my husband and a few friends. I'd like to see what they think about it! Not sure how I feel about this but it will be better than LGBG. Super stoked for this, now to hope it lives up to my expectations. But this is the best use of that space that I could have hoped for.